The ordinances that were passed this week do not explicitly name Amazon, but instead refer to headquartered companies that intend to create more than 30,000 new full-time jobs and make $3 billion in capital investments. For an employee that does not reside in the city, Amazon would pay 50 percent on the 1-percent payroll tax, while employees who reside in the city would be totally exempt. The payroll tax incentive would be capped at $1 billion, the ordinance reads. Once that office is created, the city intends to designate the Downtown area as an Urban Growth Zone. The state's , Economic Development Authority would then be able to provide financial assistance to projects in those zones and be exempt from the requirements of local regulations. 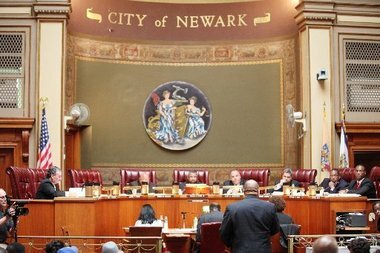 Council President Mildred Crump was absent from today's meeting, but Council Vice President Luis Quintana said after the meeting that incentives were necessary to make sure Amazon chooses Newark for HQ2. "We need to get Amazon here," said Quintana after the meeting. "We have to create jobs." A third ordinance that is slated for approval would provide a $10,000 corporate business tax credit for 10 years for each employee hired, city spokesman Frank Baraff said. A special city council meeting is slated for Tuesday at 10 a.m., said Quintana, although it is not clear whether the third tax incentive will be approved during this meeting.